There's been an unsurprising calm in the oil market given the existing supply-side scenario, although the WTI's slip below three figures is more down to local factors above anything else. Demand stateside is low while supplies are up. Additionally, the CVR Refinery in Coffeyville, Kansas which uses crude from Cushing, Oklahoma and churns 115,000 barrels per day (bpd) is offline and will remain so for another four weeks owing to a fire. It all means that Brent's premium to the WTI is now above US$7 per barrel. Despite (sigh) the latest Libyan flare-up, Brent itself has been lurking either side of $105 level, not as much down to oversupply but rather stunted demand. And the benchmark's current price level has triggered some rather interesting events. Brent's premium to Dubai crude hit its lowest level in four years this week. According to Reuters, at one point the spread was as low as $1.20 following Monday's settlement. The newswire also reported that Oman crude actually went above Brent following settlement on July 31, albeit down to thin trading volumes. Away from pricing, the Oilholic has been busy reading agency reports on the impact of the latest round of sanctions on Russia. The most interesting one came from Maxim Edelson of Fitch Ratings, who opined that sanctions could accelerate the decline of Siberian oilfields. Enhanced recovery techniques used in these fields are similar to those used for shale oil extraction, one of the target areas for the sanctions. 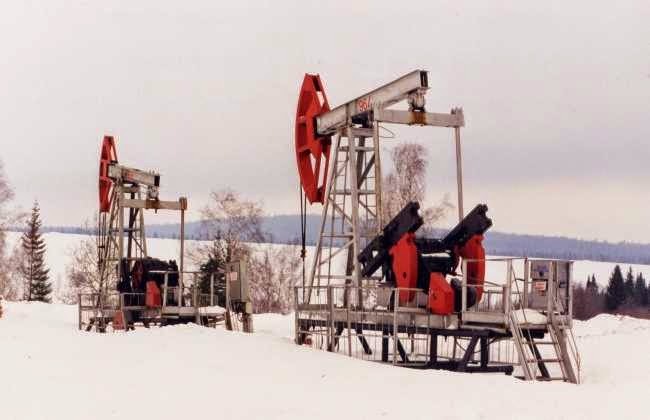 As the curbs begin to hit home and technology sales to the Russian oil & gas sector dry up, it will become increasingly harder to maintain rate of production from depleting West Siberia brownfields. As brownfields are mature, major Russian oil companies are moving into more difficult parts of the existing formations. For example, GazpromNeft, an oil subsidiary of Gazprom, is increasingly relying on wells with horizontal drilling, which accounted for 42% of all wells drilled in 2013 compared to 4% in 2011, and multi-stage fracking, which was used in 57% of high-tech wells completed in 2013, up from 3% in 2011. "In the medium term, [EU and US] measures are also likely to delay some of Russia's more ambitious projects, particularly those on the Arctic shelf. If the sanctions remain for a very long time they could even undermine the feasibility of these projects, unless Russia can find alternative sources of technology or develop its own," Edelson wrote further. Russian companies have limited experience in working with non-traditional deposits that require specialised equipment and "know-how" and are increasingly reliant on joint ventures (JVs) with western companies to provide technology and equipment. All such JVs could be hit by sanctions, with oil majors such as ExxonMobil, Shell and BP, oil service companies Schlumberger, Halliburton and Baker Hughes, and Russia's Rosneft, GazpromNeft and to a lesser extent LUKOIL, Novatek and Tatneft, all in the crude mix. More importantly, whether or not Russia's oil & gas sector takes a knock, what's going on at the moment coupled with the potential for further US and EU sanctions on the horizon, is likely to reduce western companies' appetite for involvement in new projects, Edelson adds. Of course, one notes that in tune with the EU's selfish need for Russian gas, its sanctions don't clobber the development of gas fields for the moment. On a related note, Fitch currently rates Gazprom's long-term foreign currency Issuer Default Rating (IDR) at 'BBB', with a 'Negative' outlook, influenced to a great extent by Russia's sovereign outlook. Continuing with Russia, here is The Oilholic's Forbes article on why BP can withstand sanctions on Russia despite its 19.75% stake in Rosneft. Elsewhere, yours truly also discussed why North Sea exploration & production (E&P) isn't dead yet in another Forbes post. Finally, news that the CEO and COO of Afren had been temporarily suspended pending investigation of alleged unauthorised payments, came as a bolt out of the blue. At one point, share price of the Africa and Iraqi Kurdistan-focussed E&P company dipped by 29%, as the suspension of CEO Osman Shahenshah and COO Shahid Ullah was revealed to the London Stock Exchange. While the wider market set about shorting Afren, the company said its board had no reason to believe this will negatively affect its stated financial and operational position. "In the course of an independent review on the board's behalf by Willkie Farr & Gallagher (UK) LLP of the potential need for disclosure of certain previous transactions to the market, evidence has been identified of the receipt of unauthorised payments potentially for the benefit of the CEO and COO. These payments were not made by Afren. The investigation has not found any evidence that any other Board members were involved," it added. No conclusive findings have yet been reached and the investigation is ongoing. In the Oilholic's humble opinion the market has overreacted and a bit of perspective is required. The company itself remains in a healthy position with a solid income stream and steadily rising operating profits. Simply put, the underlying fundamentals remain sound. As of March 31 this year, Afren had no short-term debt and cash reserves of $361 million. In 2013, the company improved its debt maturity profile by issuing a $360 million secured bond due 2020 and partially repaying its $500 million bond due 2016 (with $253 million currently outstanding) and $300 million bond due 2019 (with $250 million currently outstanding). So despite the sell-off given the unusual development, many brokers have maintained a 'buy' rating on the stock pending more information, and rightly so. Some, like Investec, cautiously downgraded it to 'hold' from 'buy', while JPMorgan held its 'overweight' recommendation on the stock. There's a need to keep calm, and carry on the Afren front. That's all for the moment folks. Keep reading, keep it 'crude'!